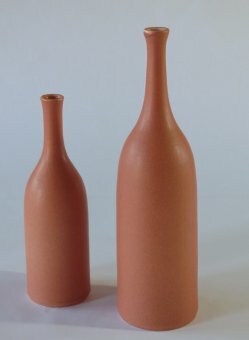 I make vessels on the wheel, using white earthenware clay. 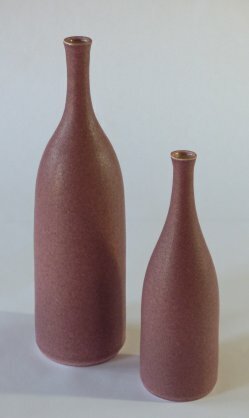 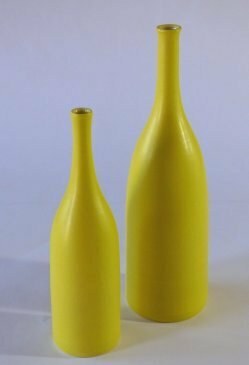 My work is partly inspired by the still-life paintings of Giorgio Morandi; I strive for the simplicity and quiet conveyed by his pictures of groups of bottles and other vessels. 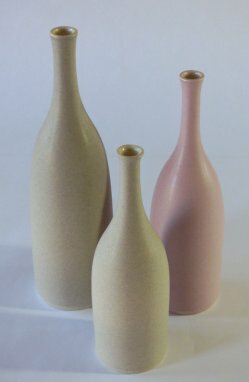 I want my pots to have the same sense of being in family groups, related but non-identical. 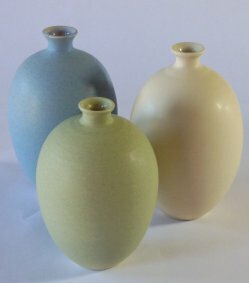 I strive to make work which is harmonious in form and colour. 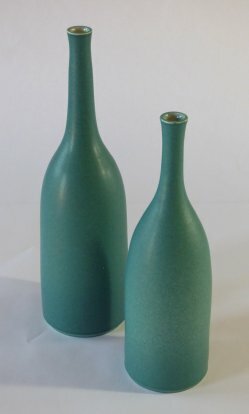 I formulated a smooth, semi-matt earthenware glaze while I was at college, and I use this as a base to which I add oxides and stains to obtain a spectrum of colours both subtle and vivid, the inspiration for which comes from nature: flowers, fruit, the landscape. 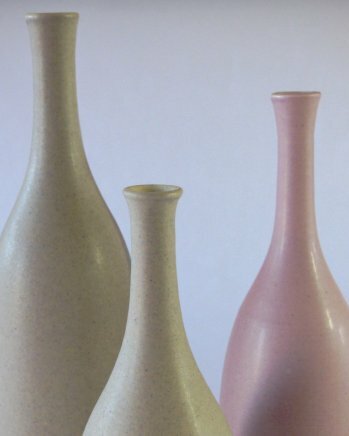 As Morandi said, “What interests me most is expressing what is in nature, in the visible world”.